Fifty years ago, “The Jetsons” cartoon predicted that people would be getting around in flying cars in the year 2062. That is still several years away, and for now, the wave of the future is electric vehicles – vehicles that you plug in instead of fueling up at a gas pump. California is taking the lead in adopting electric vehicles and PG&E, a leading energy company, is working to ensure that no driver is left behind. 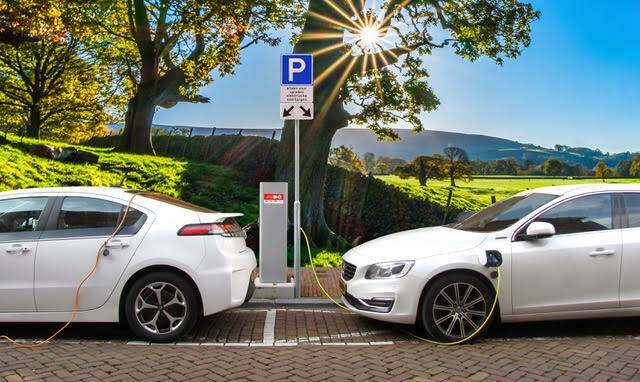 PG&E launched its EV Charge Network program in January, with the goal of installing 7,500 electric vehicle chargers at condominiums, apartment buildings and workplaces across Northern and Central California between now and 2020. Vincent Davis, PG&E’s senior director of Customer Energy Solutions, says 15 percent of the sites will be located in disadvantaged communities. To determine those disadvantaged areas, Davis says the company used a statewide mapping tool called the CalEnviroScreen. This tool identifies communities most affected by sources of pollution and where people are often especially vulnerable to the effects of pollution. Those areas are often low-income and inhabited by people of color. Reducing costs and increasing access to charging are critical components in the effort to increase the number of Californians choosing electric vehicles. “In the early stages of electric vehicle, the cost of the vehicles themselves was a hurdle. Another barrier was range anxiety in terms of where people would charge, and being concerned about running out of electricity,” Davis shared. “We’re starting to overcome a lot of those hurdles. The deployment of an electric vehicle charging network is going to be critical to reducing the angst that people may feel around how far they can drive before charging,” he continued. Davis says the cost of actually acquiring an electric vehicle is a challenge for many of PG&E’s customers. There are a number of incentives that are being offered to help make purchasing an electric car a more affordable option. In the Central Valley, PG&E partnered with the non-profit Valley Clean Air Now, known widely by the acronym ValleyCAN, to reach customers. “In partnership with them, we provided free electrical panel upgrades to encourage electric vehicle ownership in low-income and underserved communities,” Davis said. Committed to improving air quality in San Joaquin Valley, ValleyCAN also provides up to about $9,500 for local low-income homeowners to trade in their older vehicles for a used plug-in EV. PG&E offers an incentive called the Clean Fuel Rebate for its residential, electric customers who are EV drivers. “PG&E’s rebate is part of California’s Low Carbon Fuel Standard incentive, aimed at reducing transportation-related greenhouse emissions by adopting clean energy, like electricity for transportation. It’s a $500 one-time rebate,” he continued. 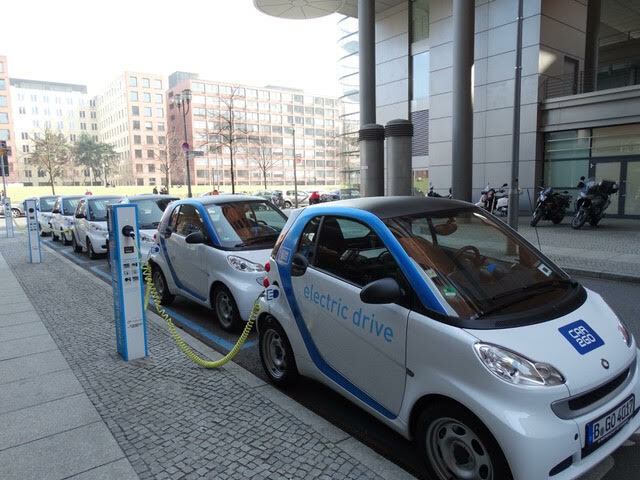 According to PG&E, one in five electric vehicles in the United States is a PG&E customer. Davis says this speaks to residents’ desire to reduce harmful emissions. “The commitment to the environment has always been there,” he said. “The challenge has been for those without the same level of access in means. How do they act on that? Now, these programs are positioning folks to opt-in and participate and engage in this part of the discussion. That’s what I’m really excited about,” Davis continued. Launched in January, the EV Charge Network is still in its early stages. PG&E expects to have 1,400 charges installed by the end of 2018. For installation efforts at multi-family dwellings, including low-income housing complexes, the company will work with owners or property managers to install chargers at their buildings. Those owners or other leaders will be the customer who will choose what kind of EV charger they want to install. They will also decide how their tenants, employees or guests will pay for charging their EV. They could decide to provide free charging or have the drivers pay for their own charging. “In this particular program, PG&E will pay for and build the infrastructure from the electric grid to the charger – which is often 60-80 percent of the total project cost,” Davis shared. “PG&E will also offset a portion of the charger cost for all participating customers based on the location and the site. That’s pretty good, and within program, multi-unit dwellings in disadvantaged communities will receive the highest rebate,” Davis said. The EV Charge Network has a budget of $130 million. The first site to break ground is located at Merced College in Los Banos and features six chargers, each with two plug-ins for staffers, students and guests to use while they are on campus. “That college is located in an underserved community where EV charging wasn’t readily available,” Davis said. Electric vehicle usage is increasing and evolving across the globe. In Sweden, a stretch of road charges EVs as drivers move across it. In Germany, Siemens and Volkswagen have announced plans to test overhead power lines in 2019 to aid long-haul truckers in charging their rigs. Davis said he wouldn’t be surprised to see similar advances in the United States in the future. “Whether or not you get to the point where people have vehicles that are flying, I don’t know about that, but I do think that the possibilities around electric vehicles are really significant,” he said. “In California, most everyone is really interested in reducing greenhouse gas. Our program (EV Charge Network) acknowledges and embraces the fact that it counts for all segments of our community, including disadvantaged communities and low-income communities. They have just as much of an interest in reducing greenhouse gases as everyone else,” Davis continued.